Bring to life the beloved main character of Eric Carle's The Very Hungry Caterpillar! Measuring 11" long, your child is sure to enjoy pulling along this fun little friend. The body and wheels are made of wood, while the felt antennas are soft to the touch. 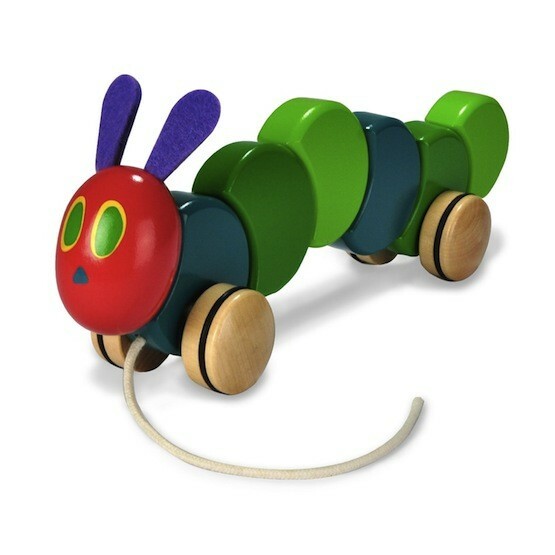 For additional play value, the caterpillars body segments twist and turn.